G-BIFY a Cessna 150 was purchased in April 2016 to compliment the fleet of training aircraft the group already has. G-BIFY has been used for pilot training for many years. Now with a new engine, new interior, upgraded avionics and a having undergone a full bare metal respray it will continue to train pilots for many more years to come. Whether its group members looking for the most economical pleasure flying or aspiring airline pilots looking for the perfect hour building solution, G-BIFY with its low hourly hire rate is the perfect choice. 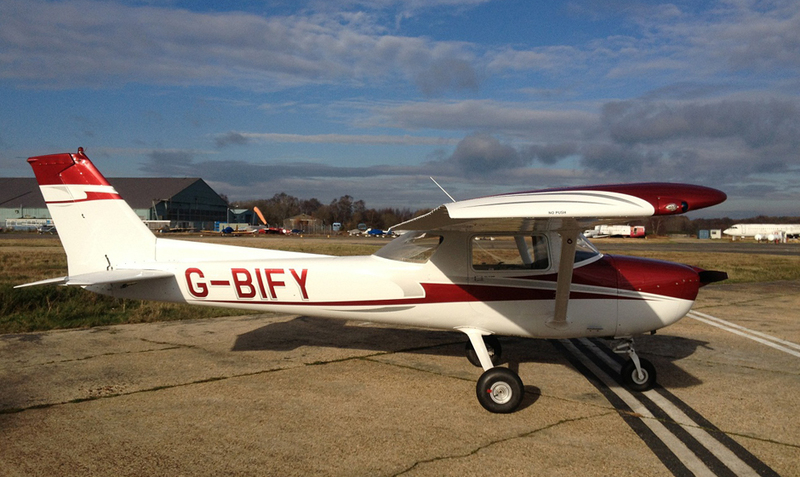 G-BIFY a Cessna 150 was purchased in April 2016 to compliment the fleet of training aircraft the group already has.